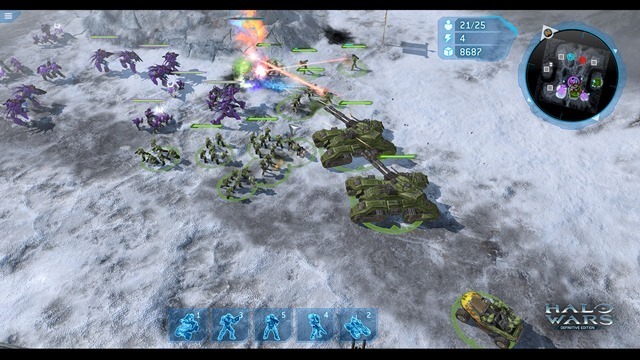 Halo Wars Definitive Edition will be available on Steam this week. We did predict such a move earlier, if you read our previous article about the game. The logic behind that is simple. Why port a console game to Windows, and restrict it to Windows 10? And more importantly why restrict it to the Windows Store? Both of those moves could result in lower sales numbers for Microsoft, as not everyone uses the Windows Store. And now for the best part, you don't need to have Windows 10 to play the game. The Halo Wars: Definitive Edition Steam version can be played on Windows 7 and above. Halo Wars: Definitive Edition has a single player campaign and offers online multiplayer gameplay. But, the only caveat is that the Steam version of the game uses Steam's network for multiplayer, so cross-play with Windows Store versions are not supported. But on the bright side, you still get the improved graphics, steam Achievements, and all of the DLC from the game. Those aren't very demanding specs for playing the game. Halo Wars: Definitive Edition will be launched on Steam on April 20th. There is no word on how much the game's price will be. Also, we have no clue if Halo Wars 2 will be launched on Steam. but we think it could be, depending on how the first game is received among buyers. 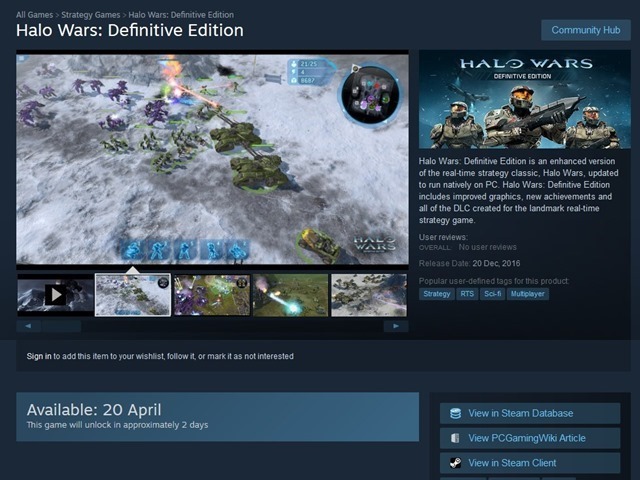 Halo Wars: Definitive Edition Steam version to be launched on April 20th. Halo Wars Definitive Edition is now available on Steam, and the price is just right.